If you have been looking for the ultimate in storage and seating combination pieces, try our Executive Billiard Storage Bench. Add extra seating to the game room with the traditional styling of our 67″ Billiard Storage Bench. For the game room enthusiasts, there is a storage compartment under the seat for cues, balls, and ball racks. Spectators can cheer the players on from this comfortable bench. This bench does more than hold all your gear. It also features cup holders and cue rests on each end of the bench. The bench is 79” wide when both cup holders are attached. 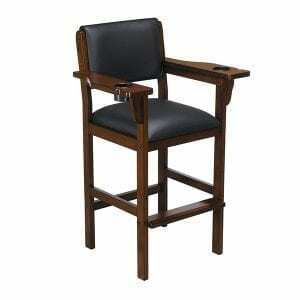 Features a “Wall hugging” hinged seat cushion that lifts with ease. 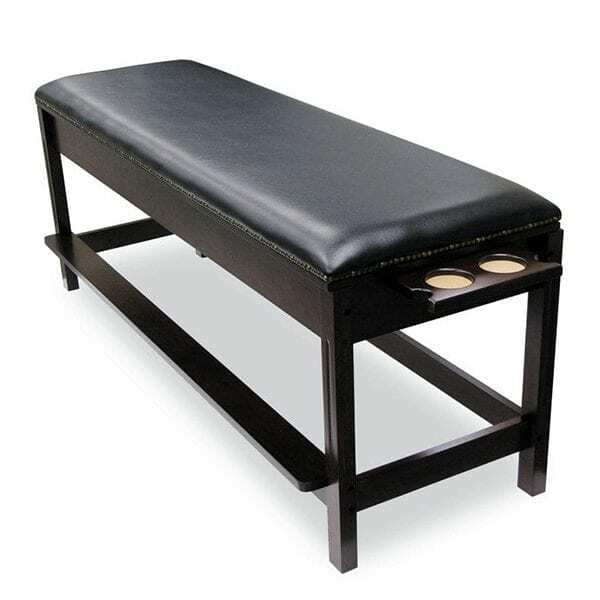 We offer everything you need for setting up your game room, so add this bench along with a few Executive Swivel Barstools, some Billiard Chairs, Cue Racks, Pool Table Chairs, Pub Tables and more. 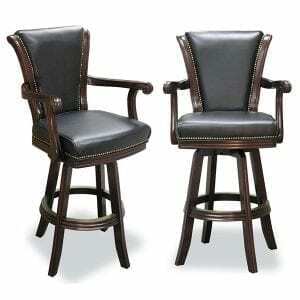 For your poker nights we offer a wide range of high quality wood furniture. 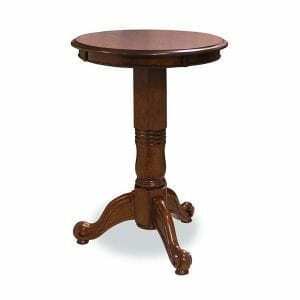 Browse our site for a big selection game tables which look great in the game room and anywhere in your home. We even offer Designer Home Foosball Tables, shuffleboard tables and many more game room furniture pieces and accessories. Outfit your entire game room in addition to your billiards are when you shop Fairview Game Rooms.